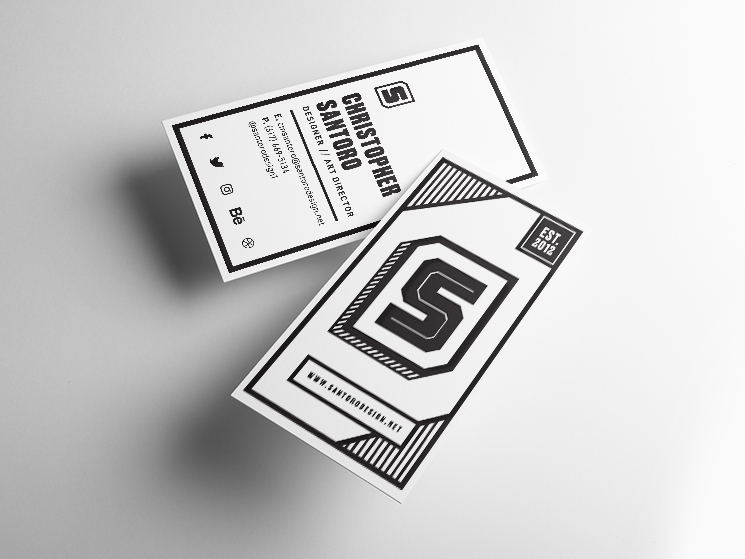 Christopher Santoro designed these business cards for his self-branding, SANTORO, as a Boston-based graphic designer and art director. Sometimes when a design is eye-catching enough you don’t need extra colours to prove it. 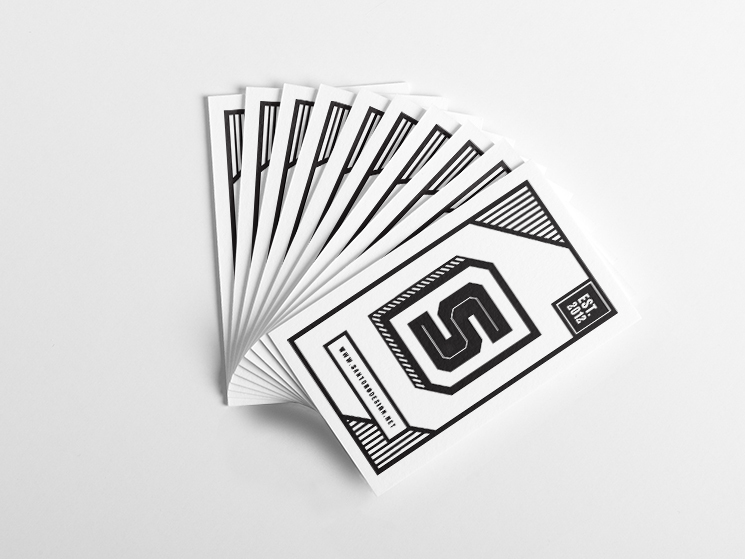 Santoro’s business card is a great example of using basic colours (black/white) and a striking logo (with the help of lines and different fonts) to convey his brand identity. “SANTORO is my private design practice that I’ve run since 2012. My original runs of cards were just digitally printed. They came out great but, if I had to be realistic, the design only made the mark look good! It didn’t really communicate much about me as a designer,” Christopher said. And so he did! 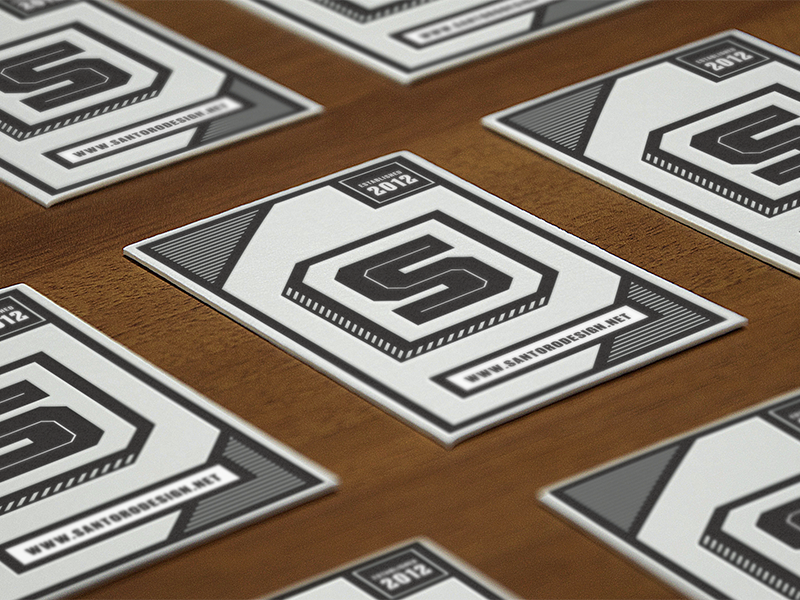 His new letterpress business cards look impressive and really stand out from the crowd!  “This is a 1-color letter-pressed card with Pantone Process Black on Post-Duplexed French Muscletone Pure White 140C stock. The edges are painted black!” Christopher added.